It may be too early to describe the 1960s as a Renaissance period in music – after all, it took two or three hundred years before the movement that started in Florence, Italy in the 14th century spread throughout the rest of the world.The sixties, however did witness a phenomenal burst of super-talented songwriting, arranging and producing in the world of music. Lennon-McCartney, Bacharach-David, Brian Wilson, Jagger-Richards, Mann-Weil, Goffin-King and many others all had their starts in the 60s and were at their creative peaks throughout that decade. Their output of top quality recordings has not been matched since – not even by themselves. Rhode Island was part of this, primarily because it is the home state of Peter Anders and Vini Poncia, two musicians who clearly helped make the music of the sixties as beloved as it is today. They had the talent to ride the fast moving changes that music underwent in the that decade – changes that took place under the same broad umbrella – music was not as fragmented or as pigeon-holed as it is today. 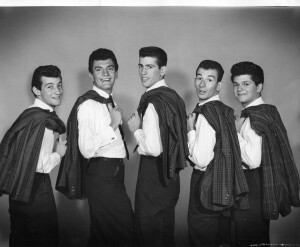 They began in the doo-wop genre as the Videls, scoring with “Mr.Lonely” in 1960, one of the best songs of that year. They went on to work in other genres: girl-groups, surf, psychedelia, ballads, sunshine pop, R&B, progressive rock – all the time generating songs and recordings that were as good as any that those genres offered. Some of their songs produced at least half a dozen cover versions. It is often said that the quality of Buddy Holly’s songs were such that he never recorded a b-side. The same could be said after reviewing Anders and Poncia’s song catalogue; they did not write throw-away material. It did not end with the 60s; for although they went their separate ways in the 70s, Anders and Poncia continued writing and producing. Vinnie, in particular, achieved great success with recordings by, among others, Melissa Manchester, Leo Sayer, Ringo Starr and Kiss. So, Vinnie who (along with Peter) wrote “I Love You Ringo” for Bonnie Jo Mason in 1964, went on to write with Ringo in 1974! 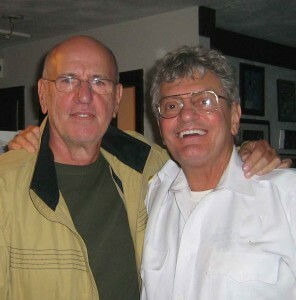 Peter wrote a classic during the 70s, “If I Can Just Get Through Tonight”, a song subsequently recorded by artists as diverse as Dion, Sissy Spacek and Phoebe Snow – and Peter himself on his 2010 CD, “So Far” – which brings us to today and another reminder that quality leads to longevity. Phil Collins has included “Do I Love You” on his new CD, “Going Back”. Sony has released a “Very Best Of the Ronettes” CD with two Anders & Poncia songs and a “Very Best Of Darlene Love” set, with another three. A UK label has reissued the classic albums that Anders & Poncia released in the mid-60s, “The Tradewinds” and “The Innocence” in pristine CD quality.